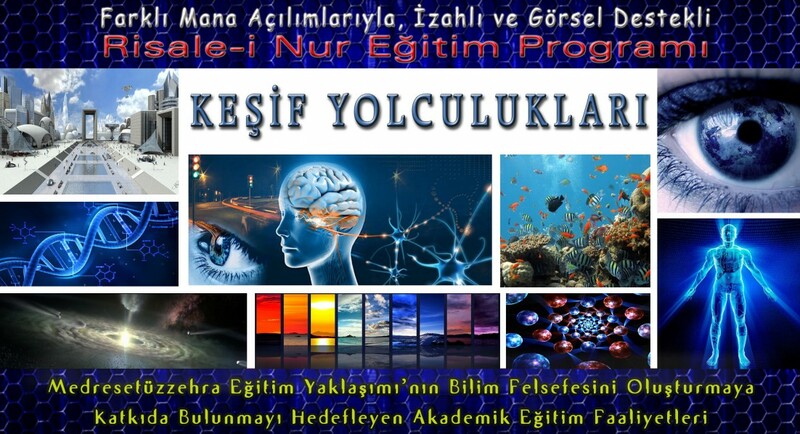 Not: Türkçe Risale-i Nur Eğitim Programı Sayfası İçin Buraya Tıklayın. İngilizce kitaplar takdimin altındadır. IMPORTANT NOTE: ENGLISH BOOKS ARE UNDER PRESENTATION. 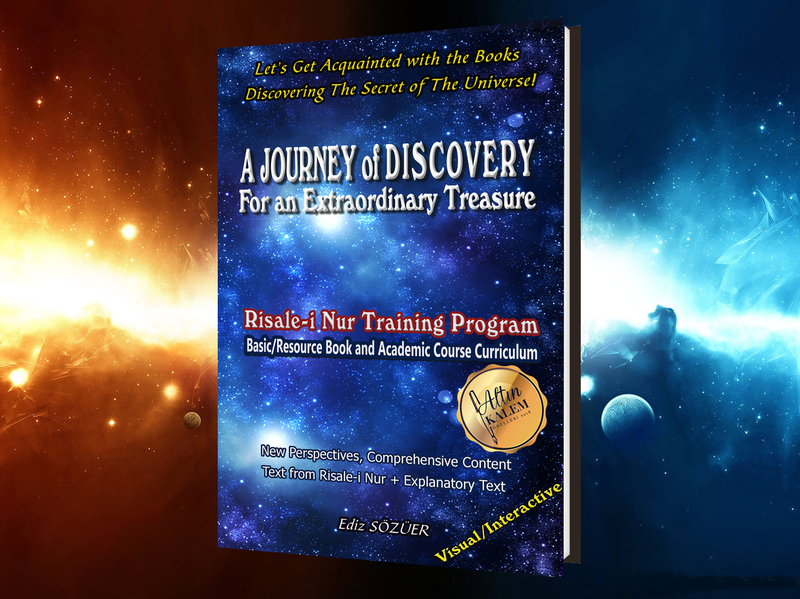 This book is penned down in order to introduce you a piece of work, that is so unbelievably and astonishingly perfect that it will surprise you with the high truths and grand scientific discoveries contained therein and will make some of you say “How come I have never heard of it until now!” (Or could not really discover it). 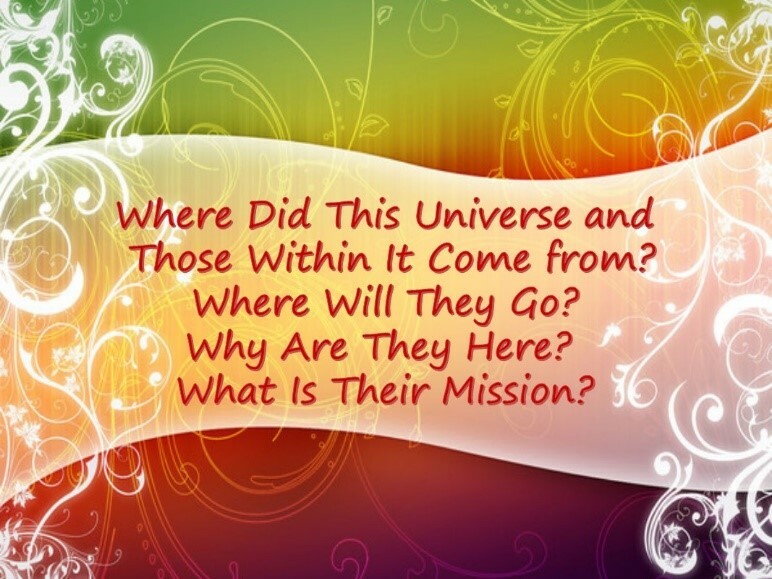 “Where did this universe and those within it come from? Where will they go? High truths, which the whole humanity needs and which are appealing to all those who look for the explanation of the basic reality of existence and which is more interesting for the world of science and the scientists and which is brought by divine revelation, are discovered once again and proved with rational methods in these works. Especially today, while quantum physics, astronomy and astrophysics have reached to such advanced levels, common answers are looked for these three questions on matter, universe and human being; the science and these works study the same subjects and share a common ground of work. 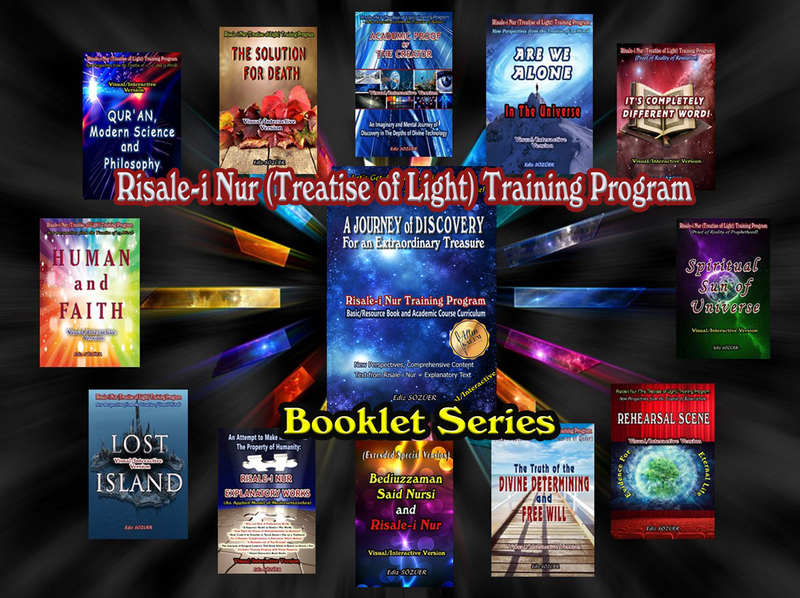 Here you are: The work, which contains in itself a spiritual/immaterial treasury for people who have an irresistible interest and passion for science and learning, is called RISALE-I NUR (TREATISE OF LIGHT). The content of the book is composed of 19 basic epistles selected from the Collection of Risale-i Nur. Some selected parts related to the subject from 23rd Word Epistle of Nature, Epistle of Resurrection, first eight Words and some other epistles are included in our book. The main texts from Risale-i Nur are placed in the beginning, the words and concepts are explained in the footnotes and the explanatory texts are provided afterwards. In addition, occasionally, as the need arises, explanatory texts are included within the text of the book in the form of an intermediary note. In this section, the following is presented: the meaning and the importance of the faith and worship, which are proposed by the Religion to the man; how the hidden secret of the universe is solved by the religion; the beauty of faith and how the true value of man comes to light with faith, and the levels of Qur’an and philosophy in terms of understanding the Secret of the Universe. Finally, we are trying to look closely at the great good news and the remedy for death brought by the religion through prophets and we are looking for the answer to this question: “What are the characteristics of true faith that will enable us to earn the eternal life?” We can regard this first part as the understanding of how great and precious a treasure is. The second part of the book is entitled as ” Proving the Existence of the Treasure of Faith with Evidences”. In this section, six pillars of faith are proved with detailed evidences. In other words, in the second section, the existence of the treasure sought to be achieved, whose value is understood/appreciated in the first section, is proved; its place is discovered, and this great and magnificent treasure is acquired. Primarily understanding that faith is such a great blessing and a treasure with a great value would determine the importance that we would give to that treasure and its evidences. Nevertheless, you will also observe that in the first part, a serious effort has also been made to search for the truth and evidences. Once you complete the book, you will have completed an important reading that could be considered as a brief summary of the Risale-i Nur collection and taken a serious step in studying the high knowledge of faith that is taught by these works. 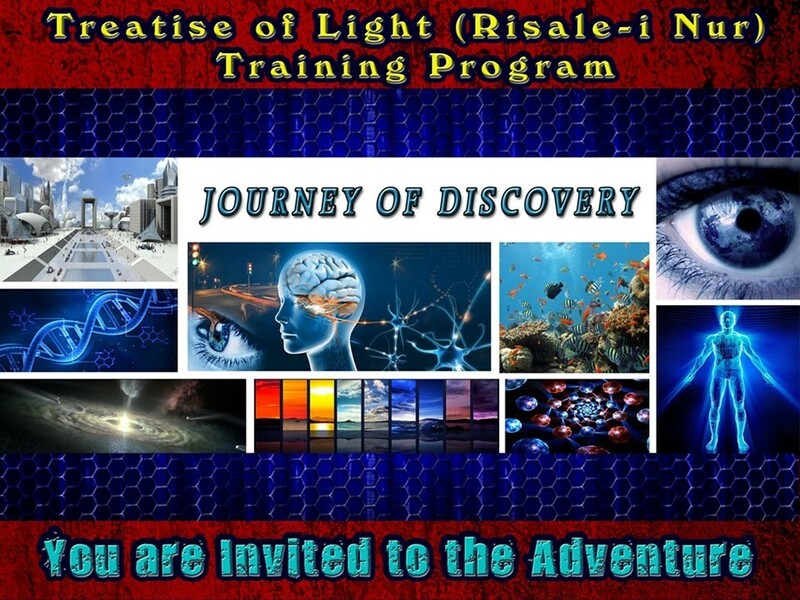 In “The Journeys of Discovery Risale-i Nur Training Program”, you are invited for an adventure of looking for and finding out the truth. We have a very strong reason to begin this journey: to witness the magnificent details of the divine technology and uniqueness of the artful creation and hence, to take a big step on the way of achieving the true faith that was demanded from us by Allah. We would like you to accompany us in this imaginary and mental journey of discovery. There is only one fixed price for a ticket of the Journey: a strong sense of wonder in the search for truth. These comments are sent to us through internet by our readers who either read our articles, attended our seminars or to whom we sent our draft texts. “I am fond of this style of explanation of Resale-i Nur… I have read it with great joy, It is an intelligently-written, shining study. In your seminars, you have such a fluent and catchy way of addressing your audience and presenting your material that even a little kid could grasp it easily. 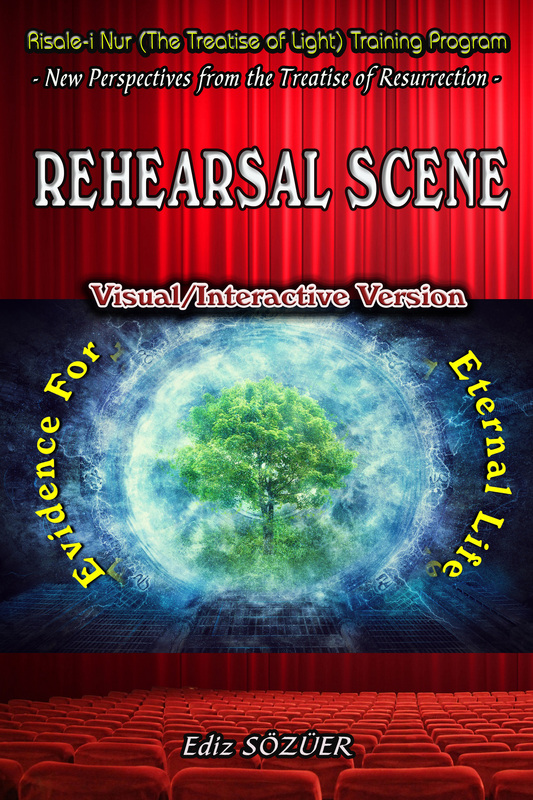 The visual presentations used in your seminars, the examples you give from daily life and your narratives from Risale-i Nur which are, by stretching our imagination, eye opening for us, are all really wonderful. God bless your heart and your hands. 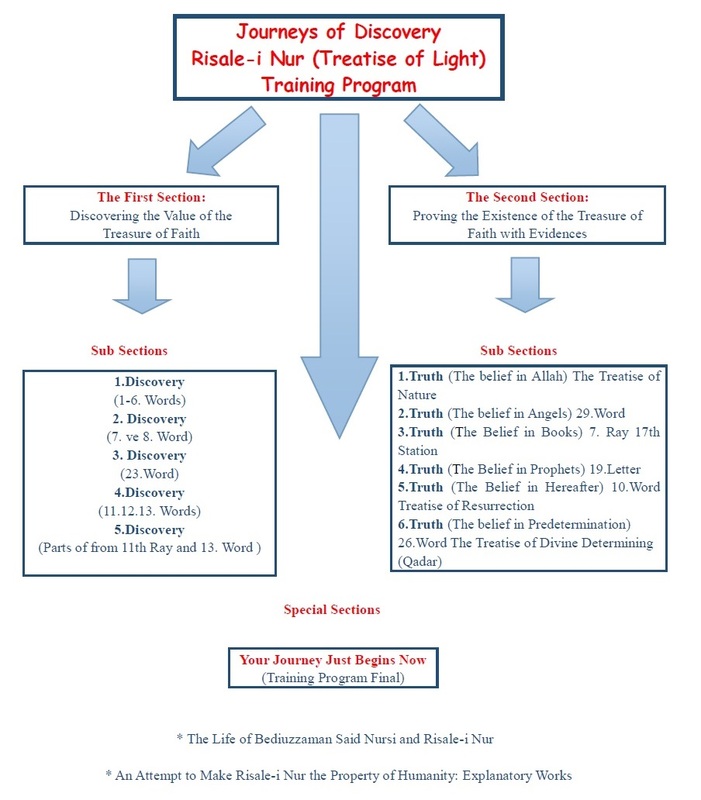 “We believe that the content of our training program, prepared to introduce Risale-i Nur (Treatise of light), which presents Islam in the most appropriate way in accordance with a modern understanding, has the capability to respond to the social demand for increasing the love for science and the number of inquisitive people thinking intellectually and for the discussion, evaluation and presentation of moral, spiritual and religious values in an academic context and to make serious contribution to the mental transformation that we need. 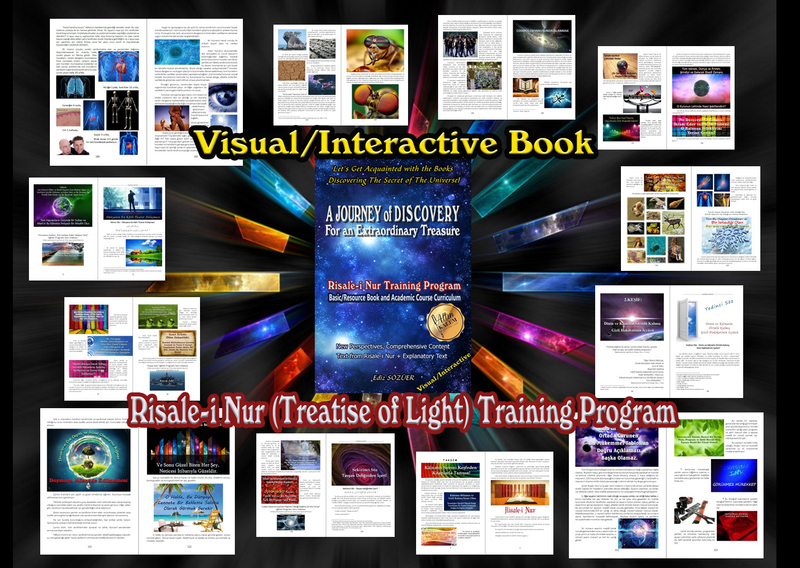 Our program, which is based on our book, A Journey of Discovery for an Extraordinary Treasure: Risale-i Nur (The Treatise of Light) Training Program, is constructed in a visual format with explanations by making use of almost 2000 visuals, made up of informative graphics, impressive pictures and highlighted texts and lecture videos as well as 170 striking videos related to the subject. Having been woven piece by piece with the sensitivity of an artist, with the conversion of the visual material used in the programs into visual/interactive books, a first in its field (as an innovative religious education tool) it was brought into the use of public as a multidimensional service and education project. 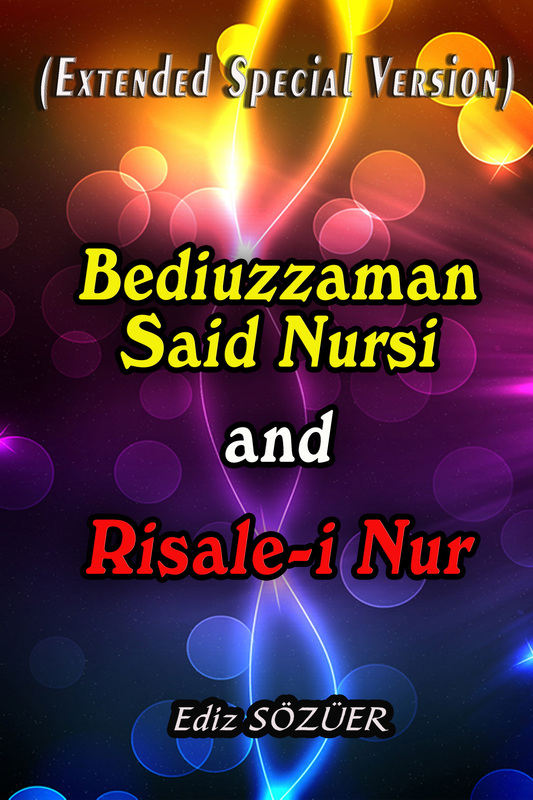 Bediüzzaman Said Nursi, at the beginning of last century, presented “Medresetüzzehra Education Approach”, as the special name of a project of innovational educational program, teaching of rational and religious sciences together, their reconciliation and integration. 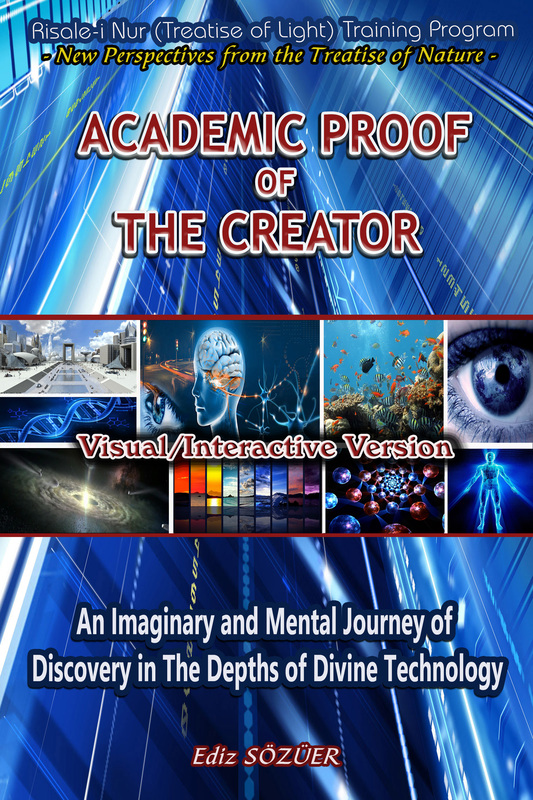 Our program aims to provide serious analysis and studies, as a philosophical basis, in terms of introduction to the Scientific World of such an educational approach which accepts the existence of a Creator, by developing scientific models, and interpretations which can prove to be alternatives to scientific approaches to the existence of the Creator, by developing alternative scientific approaches that can be accepted and by establishing the philosophy of science and curriculum of “Medresetüzzehra Education Approach”. Join the Following Slideshow for a Quick Overview of Our Academic Studies! 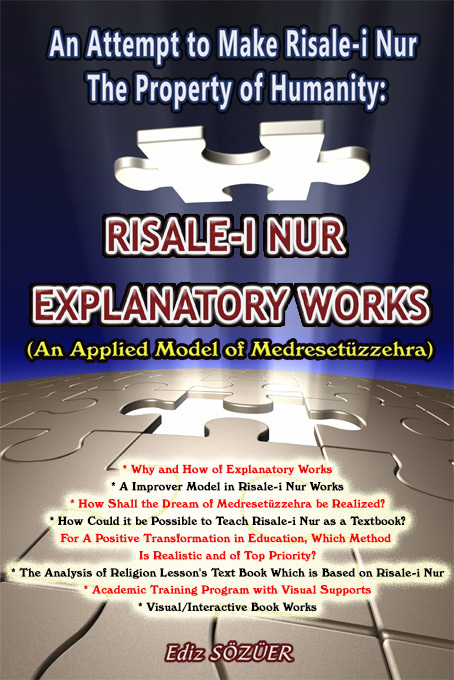 Important Information: We present our basic/resource book with 12 Booklets in the form of text and visual/interactive books under the title of “The Series of Booklets of Risale-i Nur Explanatory Texts”. When the publication of small books is completed, our basic book will be published as text and visual/interactive version. We strongly suggest and present this new history of life as an important source to those who regularly read Risale-i Nur as well as to those who want to get some information for the first time. On the one hand, this book will introduce us, who are living in the last-days (of the world), to important personalities whose existence and qualities we need to be aware of, as well as to important books that will be our guides to the truth; on the other hand, it will be a companion and very powerful means of service for us, that will hold our hand and take us to an unprecedented spiritual world, which is called “Risale-i Nur Classroom (Dersane)” and which lets us taste the moral pleasures of Heaven in this world. 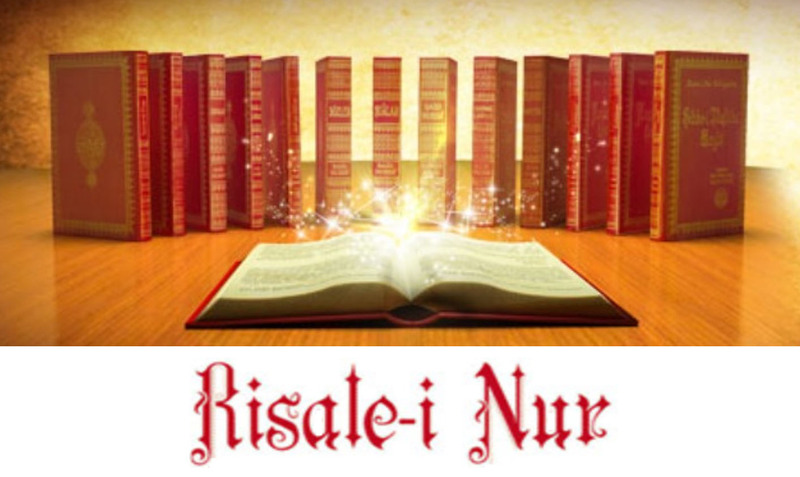 “Small Words” has a special place within Risale-i Nur, in terms of providing a basic approach towards the discovery of the reasonableness of Religion’s offer. 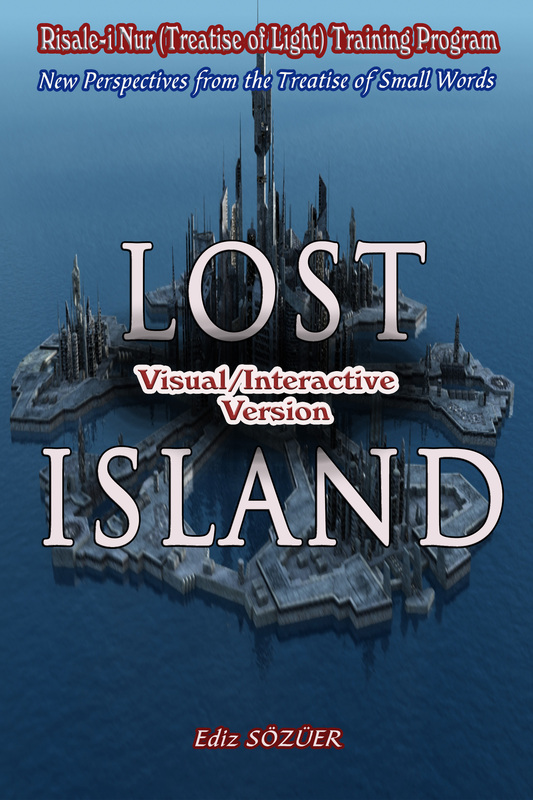 The “LOST ISLAND”, which is an explanation of “Small Words”, is the first stop in searching and finding of a great truth. You are also invited to this great adventure. In order to discover the deep and highest truth of world, humanity and the religion and to make it more familiar to the mind, the representations in which in fact all of us live and play a leading role are used together with a cinematic language. 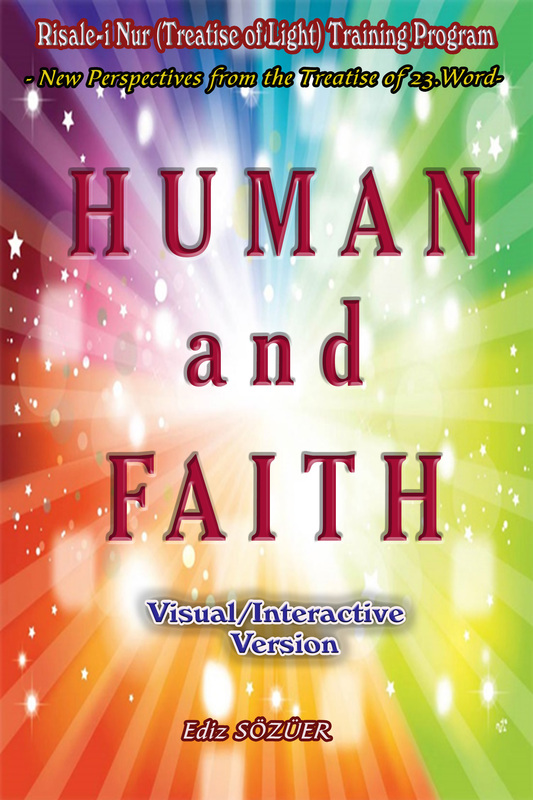 This book entitled “HUMAN AND FAITH”, which is an explanatory work based on the 23rd Word of the Book of Words of Risale-i Nur, elaborates on the high value of the human that appears together with Faith and the beauties of the faith. 23. Word is a special book written about the nature/character of human and faith, which has a great depth of meaning despite its small volume. When you finish the book, you will witness that the beauties of the faith, which reveal the high value of the human being and the true character of the universe and which make them visible, are shown with an unprecedented style and with a clarity that could be accepted by anyone who is just and fair. 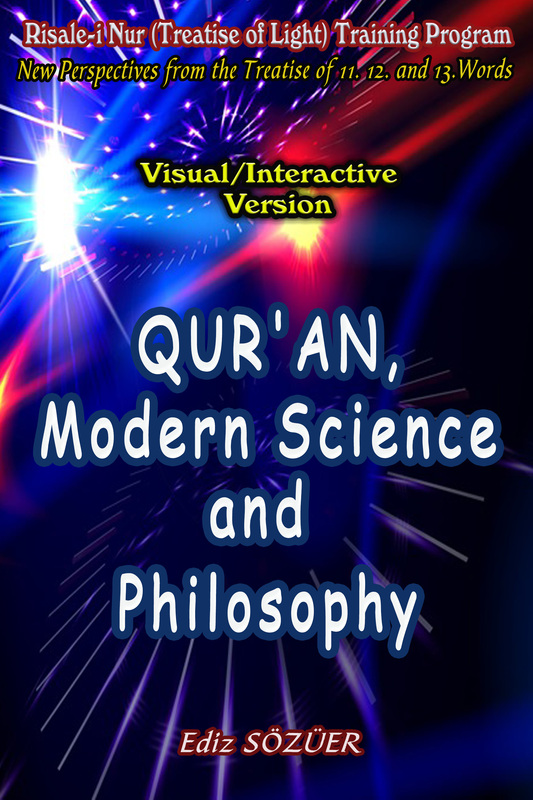 This book which is entitled “Qur’an, Modern Science and Philosophy” and which is an explanatory work based on 11th, 12th and 13th Words of Risale-i Nur, comparatively deals with the perspectives of the universe by Qur’an, modern science and philosophy; and the differences of interpretation they develop and the different meanings they make out of the same information they have. When you complete the book, you will have a striking appreciation of the profound differences of the lessons given by the philosophy and science which look at the universe from an ungodly perspective and you will have acquired the most basic and accurate Qur’anic terms in making sense of this universe. 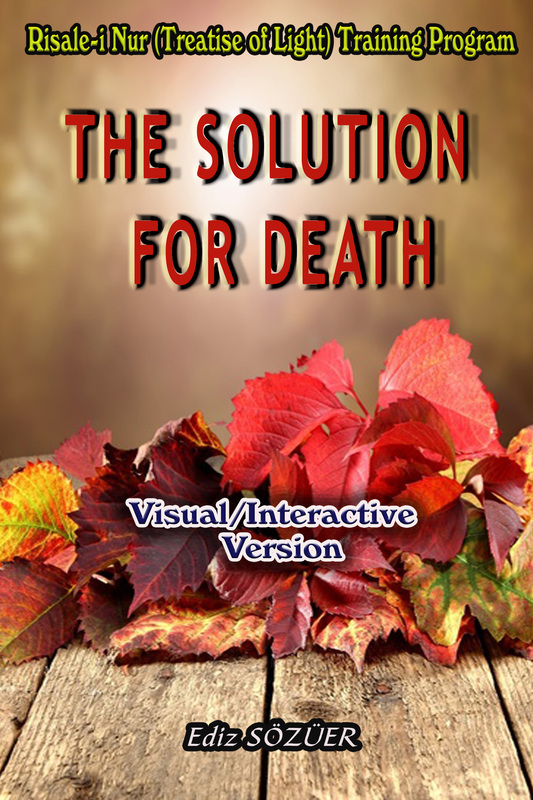 This book, which is an explanatory work based on 2nd Matter of Risale-i Nur’s Treatise of Fruit and Second Station of 13th Word of Risale-i Nur is written to look at death and life in the light of a different perspective. When you complete the book, you will witness that the cure of the death, greatest matter for a man, has been found, and that the method for finding an immortal life and an everlasting happiness have been shown. 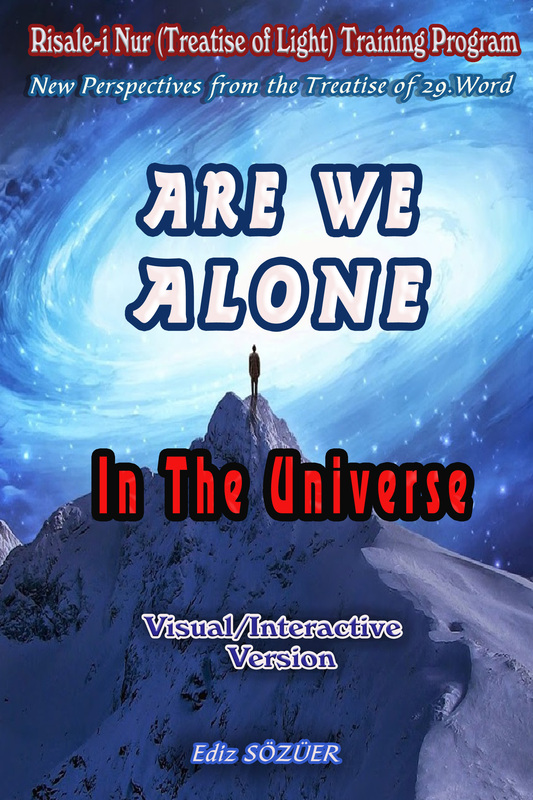 In this book, which is (about) the Introduction and First Aim of 29th Word, the right place to find the answer to questions asked by a man who can’t stand thinking the idea of being all alone in this universe and, desperately asking questions, and looking for a solution to his eternal solitude, is shown with mental inferences that capture the problem on its roots. Later on, it is proved by detailed analyses and logical proofs that it is so reasonable to believe in angels and spiritual beings, and that their existence is as precise as the existence of human beings and animals.